Summer is synonymous with backyard BBQ’s, watermelon, and corn on the cob. It is easy to throw corn on the grill to serve as a nutritious side to compliment your burgers or tri-tip. When shucking the corn I leave a few husks on that I tie back to use later as a handle to hold my corn with. To grill it, I brush on a little olive oil, sprinkle with salt & pepper and put directly on the grill on high heat for 20 minutes. 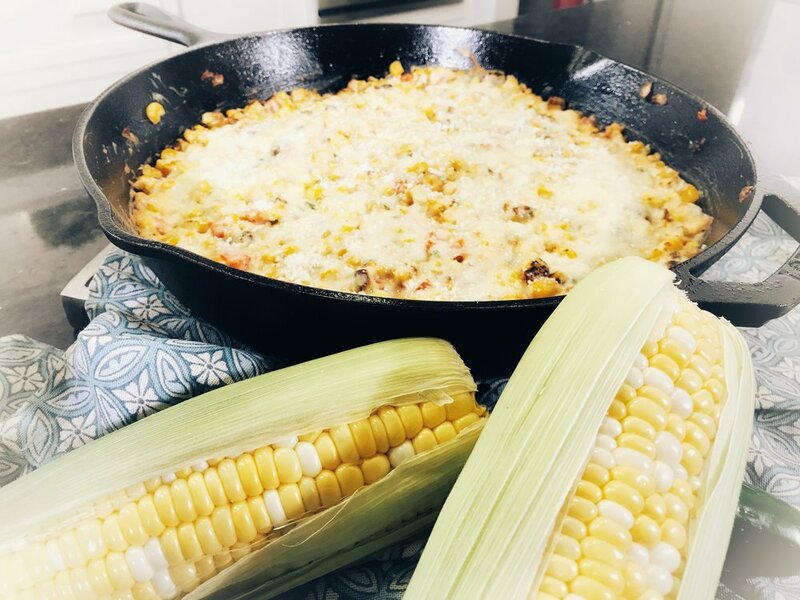 There is something special about the taste of grilled corn so I like to grill a big batch, remove the kernels from the cob all at once, then save it in freezer to use in other recipes. Use a bundt pan to easily remove the kernels. Put the cob in the small hole of a bundt pan and use a sharp knife to slice down and remove the kernels. The bowl will catch the corn for you. You can store the corn in an air tight container in the fridge for a few days or freeze it for a few months. That way you only have to fire up the grill and make a mess once but can use the corn even after the season is over. Have you tried cutting the corn in half with a knife? It is so hard to do. It is much easier to break it in half with your hands. If you want kiddos to help prepare the corn, I like to have husking races to see which kiddo can remove the husk and silk first. It's a great way to get help with the "dirty" work. Older kiddos can help remove the kernels, break the cob in half and let the kiddos use a safety knife to slice off the kernels. Last year I was so focused on creating content for my weekly ABC30 segments that I did not do a great job of sharing the recipes here with you. Now I am trying to catch up and post all of my recipes on the site so they are easier to find. When shooting at 5am it was hard to snap great pictures so both of these dishes taste much better than they look here but I promise they are tasty. 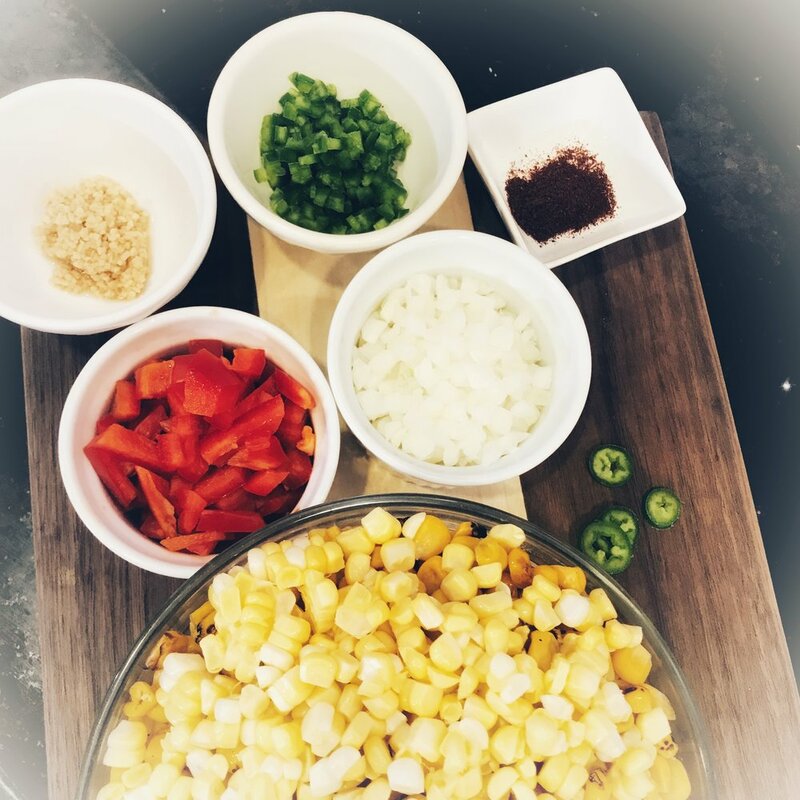 If you're having a gathering, make this corn dip, it's a crowd pleaser. You can make it in advance, store it in the fridge until you are ready to heat and serve it. 1. In a bowl mix together sour cream, mayo, cream cheese and 1/2 cup of shredded cheese until well combined. 2. In a cast iron skillet (or oven safe pan) heat 2 tablespoons olive oil over medium heat. Sauté garlic, Jalapeño, onion, red bell pepper & onion for 5 minutes until fragrant & browned. Stir in corn. Sprinkle in chili powder & salt and pepper. 3. Turn off heat & stir in cheese mixture. 4. Sprinkle on remaining shredded cheese. 5. Put in oven for 30 minutes until the cheese is bubbly & the edge starts to brown. This recipe can be made in advance, stored in the fridge before putting in the oven. You will want to serve it immediately after heating. In the Summer I like to try to meal prep as much as possible so I turn on the big heat sources, the stove and oven, the least amount as possible. I also rely on my slow cooker to prepare my proteins. I like to eat cold salads and mixed veggies. This quinoa side dish recipe came from a good friend of mine. 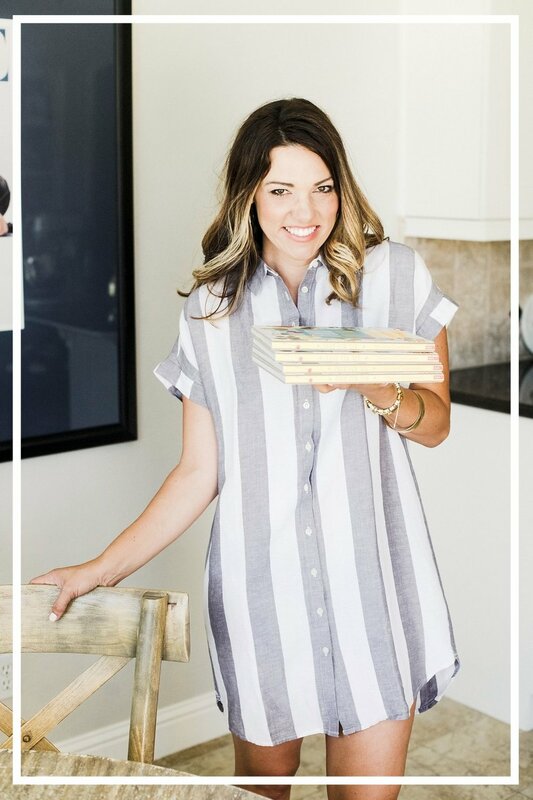 Her life is busy with twin girls so she always has the best simple dishes that are quick to throw together. With the corn grilled and frozen in advance this Quinoa recipe is as easy as tossing everything in a bowl (after you cook the quince of course). The quinoa can be prepared in water but I like to use chicken broth for added flavor and nutritional value. This recipe incorporates a lot of fresh herbs but you can substitute in dried counterparts if you prefer. Prepare Quinoa by bringing chicken broth to a boil & adding in Quinoa. Bring to a simmer, cover with a lid and cook for 10 minutes. Fluff with a fork and stir in olive oil. Put hot Quinoa in a serving bowl. Stir in frozen corn & peas and stir to combine. Finely chop fresh herbs & mix into the bowl. Season with salt & pepper. In a small bowl combine dressing ingredients with a whisk. Drizzle over Quinoa and mix well. Shave fresh Parmesan on top & enjoy! Option to add grilled chicken to make it a meal. Still looking for more things to make with your grilled corn? Check out some other recipes: Cowboy Loaded Sweet Potato Fries.